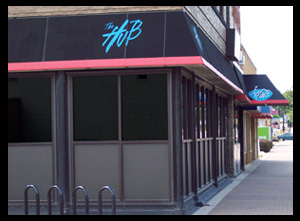 The HuB is your destination for live music in Cedar Falls, located on historic Main Street. You can enjoy two bars under one roof. There is the familiar pub side complete with pool table, dart board, TV's, and acoustic stage. Or you can venture into the stage side and rock out or dance to your favorite bands. We feature the areas best live music 6-7 nights every week. Check out the "shows" on our home page for the current live music schedule. *some shows will have a different "Doors Open" time. Please check the shows page for details.